OK, so we can all agree that it’s impossible to get through fall and Thanksgiving without pumpkin — but does it always have to be in a pie? We’re not knocking good ole-fashioned pumpkin pie, here. Imagining a life without ever tasting another slice smothered in homemade whipped cream is a place we don’t want to visit. It’s just that there are so many other delicious ways pumpkin can be incorporated into desserts. 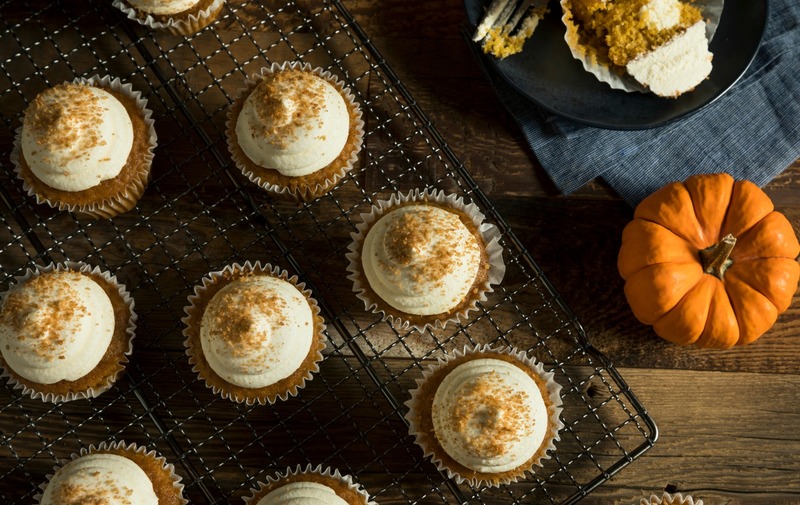 Enter these yummy pumpkin treats. Each has all of the traditional flavors of pumpkin pie (like cinnamon, pumpkin purée and cumin) with other delicious ingredients too, like Greek yogurt, cream cheese and chocolate chips. Plus, each bite-size pumpkin treat requires no fork or plate. And for those who are always stuck on dish duty (like I am), this fact alone makes each one necessary this year. Don’t let the name of these fool you — they aren’t your ordinary cupcakes. 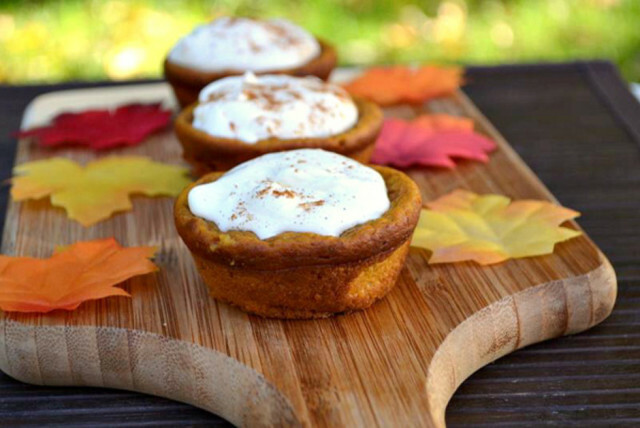 These mini cakes have the same ooey, gooey center as a slice of the famous pumpkin pie. The flour and sugar in the mix form a crust around the center so you get the same texture as a piece of pie. Plus, the top becomes concave while cooling, forming a perfect spot for a dollop of whipped topping. Preheat the oven to 350 degrees F. Line cupcake wrappers in a muffin pan and coat wrappers with cooking spray. In a medium bowl, mix together flour, baking powder, baking soda, salt and pumpkin pie spice. In a larger bowl, combine pumpkin puree, sugar, brown sugar, eggs, almond and milk until fully combined. Add in dry ingredients and mix until no streaks of flour remain and batter is smooth. (Batter will be runny). Fill liners about 3/4 of the way full and bake for 15-20 minutes, or until cupcakes are brown. Once cooled, add a dollop of whipped topping into the concave center and sprinkle with cinnamon.